Remove medium to heavy imperfections safely and efficiently! If you are looking for a pad with a high level of corrective power, look no further than the CarPro Flash Pad! Any imperfections, no matter if they are minor or severe, greatly take away from the appearance of your paint. When just starting to polish, we always recommend testing out a light corrective polish and pad combo first, but what if you need something stronger to remove heavier imperfections? This is where the CarPro Flash Pads come in handy! 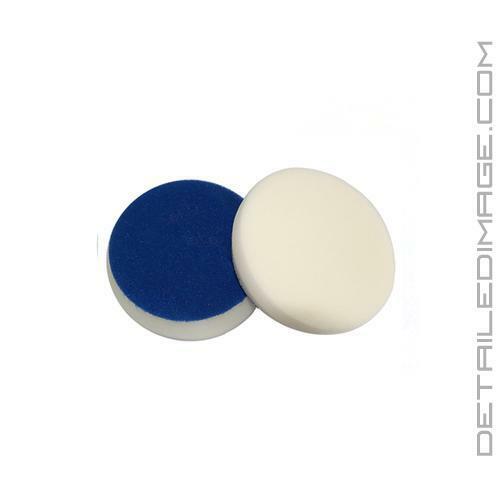 These pads are made of a unique polyurethane foam, which allows you to easily remove heavy imperfections, paint overspray, bird droppings, severe scratches, and much more. They are 7/8 of an inch thick with a beveled edge, making them easy to maneuver, generating less heat and are very durable. Not only will they correct imperfections in a flash, but they will leave behind a fantastic finish. You may not even need another polishing step, but to be extra safe we do recommend following up with a light pad and polish combination. The CarPro Flash Pad makes quick work of surface imperfections so you can restore your paint to like new! Polishing Face Diameter: 5 1/8"
Hook and Loop Diameter: 4 7/8"
My favorite pad to use on headlights! Its the perfect size and it cuts great while leaving an awesome finish! Tend to use it with MENZERNA 400 compound after sanding with 1500 and leaves it perfect! The only down side is cleaning that can be hard.